Wood pellets are made of wood waste byproducts, and are more cost effective than logs. Wood pellets are a form of fuel that is made from scrap wood as well as from sawdust created during the wood milling process. Compressed into tiny pellets, this product can be used effectively for heating as well as cooking. While relatively inexpensive in the past, wood pellets have captured the attention of more people interested in alternative forms of heating and cooking. This has led to an increase in the cost of the product in many places around the world. The actual process used to produce wood pellets involves passing the loose sawdust or other wood remnants through a hammer mill. This helps to reduce the sawdust into what resembles a basic dough. The dough is then subjected to a great deal of pressure, effectively compressing the material until most of the moisture content is expelled. At that point, the dough is shaped into pellets by being run through a sieve mechanism. The heat generated during the compression and straining of the material through the sieve helps to dry and form the pellets, as well as activate the lignin content that serves as a natural glue and holds the pellets together. Special equipment is necessary to gain the maximum benefit from wood pellets. Equipment such as pellet furnaces or wood pellet stoves make it possible to generate enough heat to keep the interior of a small home comfortable, as well as provide an easy way to cook food on a range-top in the event of a power outage. As a means of making a home more environmentally friendly, the use of wood pellets in these devices is ideal for anyone who wishes to build a new home that is considered green, or to modify an existing home to accommodate alternative energy options. The storage of wood pellets is relatively simple. Homeowners who wish to use this type of fuel can make use of a bunker or small silo on the property. As long as the pellets are protected from exposure to excess moisture, they are capable of lasting for extended periods of time, with no decrease in efficiency. It is possible to purchase wood pellets at a number of retail outlets, including home supply stores, and any establishments that carry green supplies. 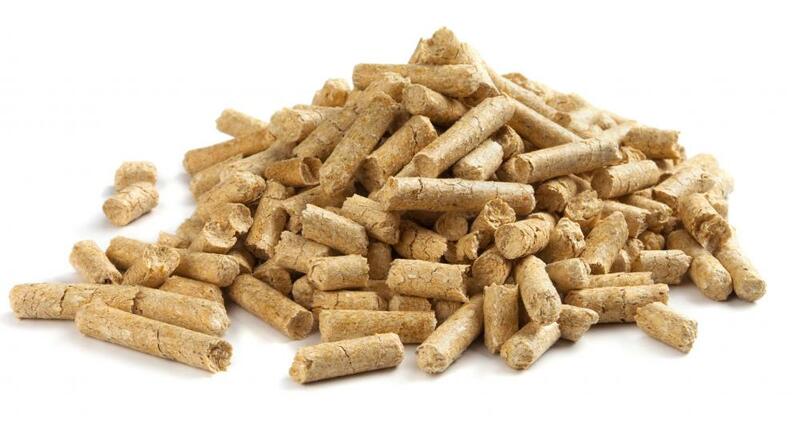 Many online retailers also offer wood pellets in varying quantities. While the cost of using wood pellets is still below that of more traditional heating and cooking methods, the increased demand for the product has led to some increase in price. However, it is still possible to purchase the pellets in volume and store them for future use. Buying larger amounts of the pellets often provides a discount, which helps to keep the cost within reason for people who are looking for more cost efficient ways to live green. What are the Different Methods of Termite Identification? How do I Choose the Best Pellet Stove?